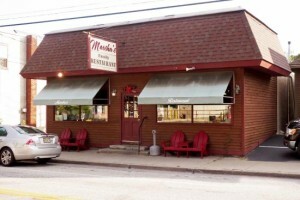 Marsha’s Family restaurant is a FUN restaurant …nothing fancy, but good solid food. Be sure to try the blueberry pancakes with real Adirondack maple syrup. Yummy! And great people! Along with breakfast, you’ll get the latest scoop on what’s happening in the Adirondacks from Ed – Lori’s dad and Marsha’s husband. If it’s happening in the Adirondacks (or anywhere in the Northeast, it seems! ), Ed will know about it; whether it’s trout fishing, skiing, whitewater rafting or where to eat dinner. I go trout fishing in the Adirondacks every year, and always make Marsha’s my first stop.